Making mobile phones is what Nokia does, it really is that simple. Right back from the time they released the iconic 3310 until today, they have amassed a collection of handsets that bring a high level of reliability and quality. They offer style and design at a price that people can afford and make smartphone ownership a reality for many users that do not want to get caught up with massive monthly payments but want a handset that does what is needed. 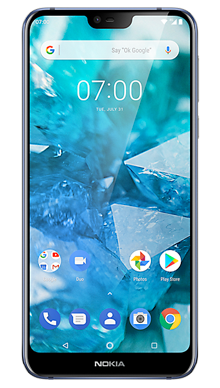 With that in mind, we have taken care to stock the best Nokia handsets and find a wide range of deals that offer you the highest level of choice when it comes to getting your next phone. With that in mind, one of the newest releases is the Nokia 7.1, and this is a stunning handset that is already attracting a lot of attention from Nokia fans across the world. We know that the infinity screen is a favourite look and most manufacturers are moving away from the now older style bezel, so the Nokia 7.1 is on trend and looks really good. The sides of the screen reach edge to edge to ensure no viewing space is lost. At the bottom of the handset, the chin is neat and features the logo, while at the top we see the neat notch where the front facing self-camera sits. The front and back of the handset are glass and around the sides the favour aluminium strip making this a stylish handset that is nice to hold. In terms of size, the Nokia 7.1 offers a 5.84 LED Pure Display Full HD+ screen which means you are guaranteed a stunning visual display, which sits neatly in one hand. The display has an aspect ratio of 19:9 and a resolution of 1080 x 2280 with a PPI of 432 which makes this a serious contender for mobile gaming and streaming movies, which we know has become popular among mobile phone users. On the rear of the handset, you will find the oval-shaped camera arrangement, which looks well thought out. Beneath this, you have the biometric fingerprint scanner for first-class security. The design works well, and finally, there is also a Nokia logo. 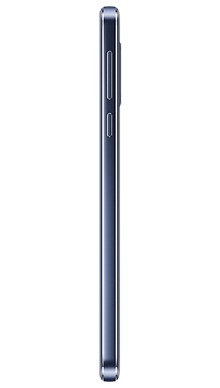 On the bottom of the handset, you will find the standard 3.5mm headphone jack which will be a welcome inclusion for many as it seems to be a dying feature. There is a single speaker on the handset which copes well and offers an excellent audio performance in a quiet room. When using headphones you will obviously have a louder experience which is true of all handsets, and you have a choice of using your favourite wired headphones or wireless cans, by taking advantage of the Bluetooth connectivity option. Nokia is always on the ball when it comes to sound, so we are not surprised that this is great. The Nokia 7.1 offers a dual rear camera which is perfect, and this comes with a dual flash too. The first lens has 12MP which is fantastic on its own, but this is enhanced further by the second 5MP lens, and the overall performance of the camera with the supporting software is spot on. When it comes to the front-facing selfie camera, you can take your selfies with the 8MP camera which again gives a great picture quality time after time. Inside the Nokia 7.1, you will find the Qualcomm Snapdragon 636 chipset which we know to be favoured by Nokia as it guarantees them a first-class performance. Being an Android phone the operating system is no mystery and Nokia has chosen Oreo to power this handsets which pairs well with the chipset and gives an exceptional level of performance with no lag and waiting around. The handset comes in two sizes, the smaller 32GB version has 3GB of RAM, and the larger 64GB offering has 4GB of RAM, both of which offer performance and quality. While this might not be the most significant storage space ever, do not worry because Nokia has you covered. The additional MicroSD slot allows for plenty of boosting, and you can add up to 400GB of ROM to store everything you could possibly want. This means you can carry movies, music, photos and more and still have space to spare. Underpinning all of this is the 3060mAh battery which seems to be a perfect choice. On test, we were able to get a great day of performance with no access to a charger and still make it back to the charging point with power to spare. 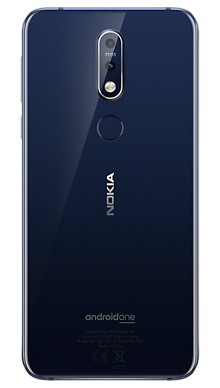 Nokia is offering the Nokia 7.1 in a few different colours to allow for your perfect pairing so keep an eye out for Black, Midnight Blue and Steel to find the one for you. 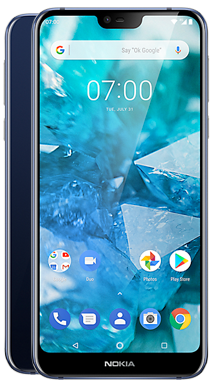 If you are looking for smartphone that brings a stunning performance in a well-designed handset and yet comes with a perfect price tag, then the Nokia 7.1 could be the handset for you. This is a solid offering that is going to be flying off the shelves. As soon as we knew the Nokia 7.1 was on the way we set our best team to work hunting for the best pay monthly mobile deals. Our mission is to bring the most extensive range possible so that you have a great variety of choice and can find the deal for you, including a good level of no upfront cost deals. At Metrofone we have an exclusive partnership with EE because we know that they bring us their best deals and that they have one of the best network coverages across the UK. We can also work with them to add some fantastic free gifts, so you really are getting the best value for money. 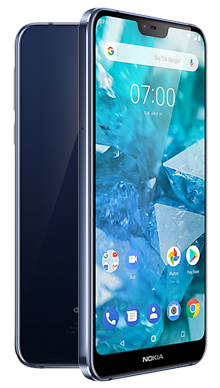 So if you fancy the Nokia 7.1 and want to check out any of the deals that we offer, our customer service team are on hand to answer any questions that you might have. They can be reached at 0333 900 1144 today.